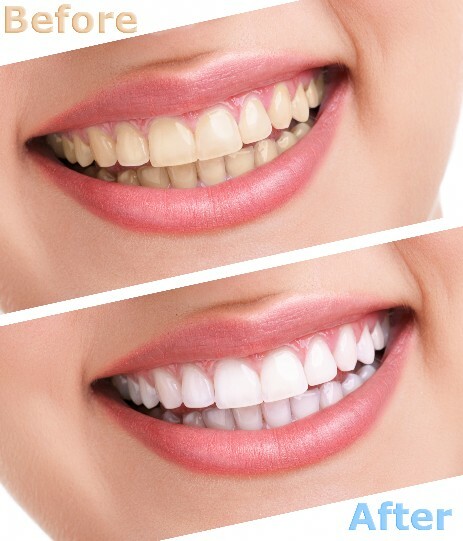 Laser Whitening - Dentallive Clinic LTD. It's safe, quick, and inexpensive. Just let us know at any appointment if you would like to whiten your teeth. You can lighten only your upper teeth or both the upper and lower, depending on how much you show when you talk and smile. In only a day or two your custom bleach splints will be ready for you to pick up. We provide you with a special bleaching agent that you put into the clear splints. With only a few hours of wear per day, our special bleaching agent bubbles stains right out of your enamel in a very short time without altering tooth structure or existing dental work in any way. When your teeth reach the desired brightness, only occasional treatment is needed to maintain your new smile. We'll want to take “after” photos at your next appointment. Teeth get discolored for many reasons including coffee tobacco food stains thinning enamel etc. to being your smile to life Dentallive Clinic offers Spa-dent laser whitening system. The Spa-dent whitening process provides the maximum whitening results, in the least amount of time with virtually no sensitivity, all under the supervision of our dental team. The gel formulation is placed in our dual arch mouth trays with the precise dosage of whitening material. Our unique blue and red LED light activates the gel, providing powerful whitening with cellular stimulation. Hydroxyl radicals penetrate the tooth enamel to break down stains into progressively smaller particles. This process will penetrate but not harm or damage the tooth enamel, including caps, crowns and veneers. For the best results we recommended a cleaning prior to the appointment for whitening. We also need to make sure you don't have any cavities so there is no sensitivity after. For the first 24 hours we recommend avoiding coffee, tea, cola, red wine, berries, or any foods that have the propensity to stain. For the first hour drink only water. Over-the-counter bleaching agents are available for purchase at drug stores and pharmacies. However, since these products can cause harm to the gums and teeth, it's better to use products that our practice recommends.